Share this product and receive a $1.87 sharing discount. 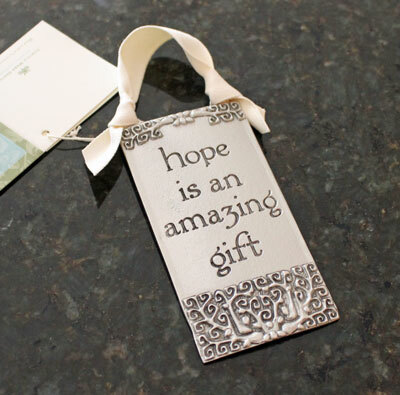 This is a very uniquely lovely pewter ornament... detailed with the words... "hope is an amazing gift"
Perfect for any gift occasion... such as Weddings, Engagements, Illness, baptism, confirmation, etc. 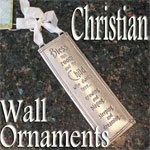 Comes ready to hang with a cream colored ribbon.